ONE WEEK OUT!! Can you believe it?! Sometimes I feel totally ready to meet this kid and welcome our new family member. 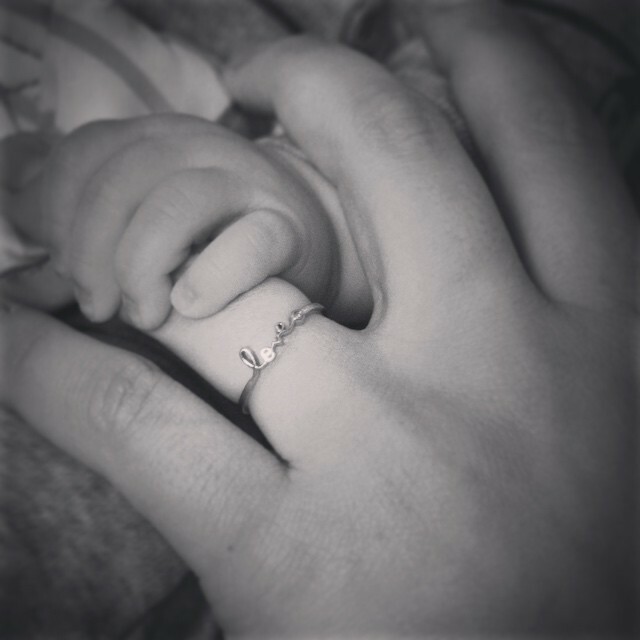 And sometimes I think, "they're seriously going to let us a take a baby home from the hospital?!" 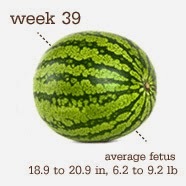 At our last appointment, Baby C weighed in at 6 lbs 14 oz, a nice plump watermelon! I go back in on Tuesday to make sure my fluid levels are still looking good. Took an Infant CPR & Safety class this weekend, which was incredibly informational and made us feel much better about keeping baby alive and kickin'. Plus we got to work out some nervous energy on the dummies. Now it's just a waiting game! My mom flies in on Friday and then my dad and sister fly in on Saturday. Would be super fun if little punk arrives when they are here or even comes early and is here waiting to greet them. Only bummer would be if he waited until just after they all left to make his debut (which I probably just jinxed us on). But in any case... ten fingers, ten toes, a cute little nose and we'll all be as happy as clams!